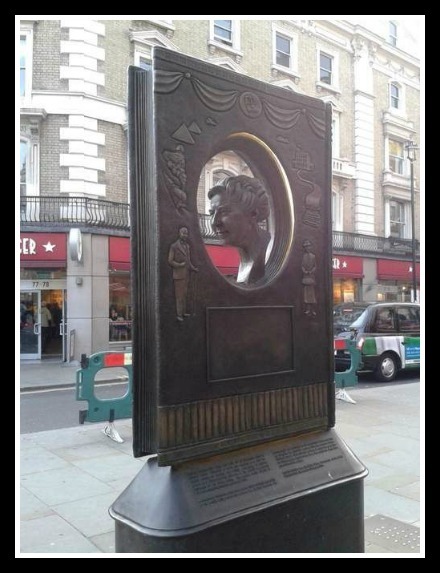 Agatha Christie once said that she wanted to be remembered as, “a good writer of detective and thriller stories.” We say she needs to be remembered for a whole lot more: daughter, wife, mother, pharmacist, playwright and adventurer only begin the list. 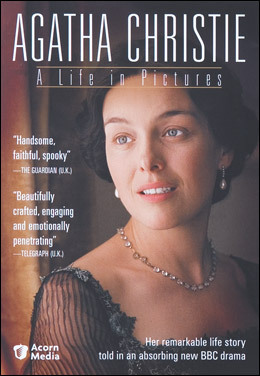 Agatha Mary Clarissa Miller was born on September 15, 1890 in Torquay, England. 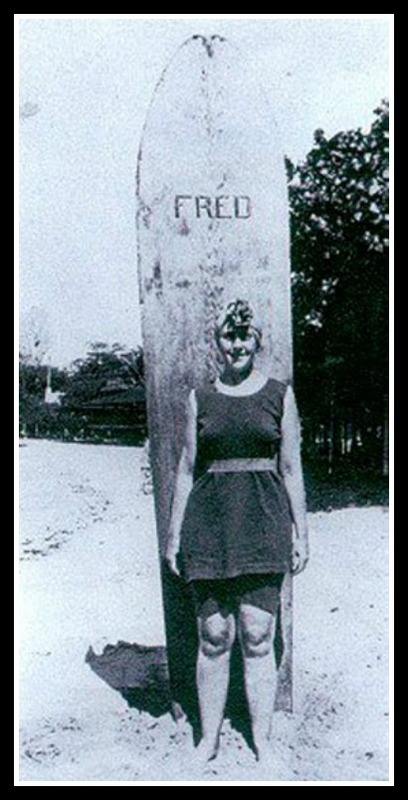 She was the third (with a huge age gap) child of Frederick and Clarissa (Clara) Miller. 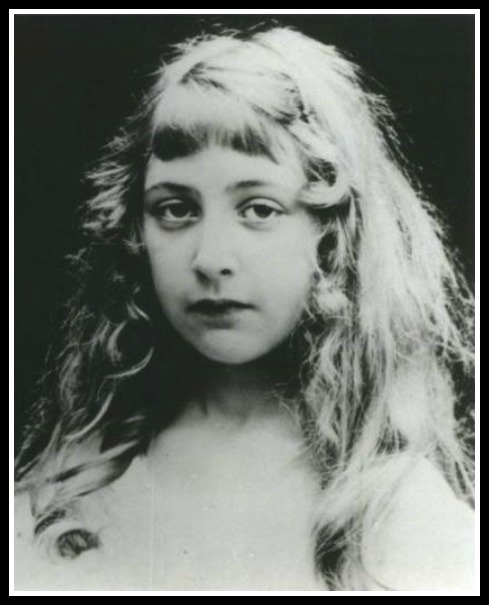 We cover all the details of her family in the podcast, but let’s suffice it to say that her childhood was by all accounts idyllic and her family and home were full of kooky, smart, interesting characters worthy of a book series on their own. She was indulged by her parents, older brother and sister as well as the small staff of their charming upper- middle class home. Agatha didn’t attend formal school until she was a teenager but was educated at home. Bright and imaginative, she broke her mother’s “rule” that children shouldn’t learn to read until 8, but taught herself at 5. Oh yeah… she was a tree-climbing, imagination game playing, rule breaking, dog loving kid who had everyone in her life wrapped around her finger. That is, until her father died when she was 11. With her brother and sister grown and living lives of their own, Agatha and her mother set off to redefine their family. Papa wasn’t the greatest money manager and financial troubles worsened after he died. 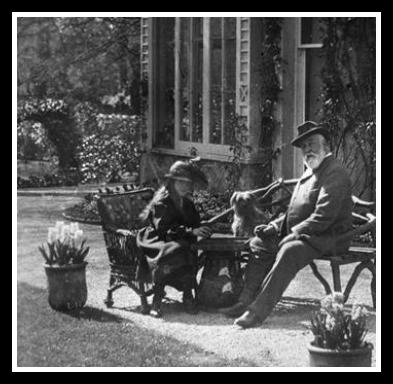 But Clara, through smart choices, was able to keep the beloved family home, as well as provide a finishing school education in Paris and a coming out season in Egypt for Agatha. Agatha toyed with the ideas of “careers” as a professional singer or concert pianist. A bad review of her voice crushed her first dream, and stage fright her second. Once they were back home in Torquay, World War I broke out and it was all hands on deck with the war effort. Agatha, in her early 20s, did her part and worked in the local hospital. First in nursing duties and then in the pharmacy. She learned chemistry and biology and the education that would help her most in life: how poisons and medicines worked in the body. And in her free time what did she do? Write. 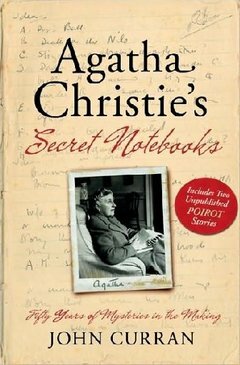 Her sister challenged her to write a detective story by saying Agatha couldn’t so during the war Agatha completed a novel, The Mysterious Affair At Styles, and sent it off to publishers. 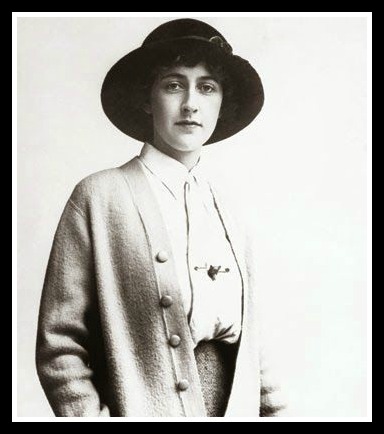 She soon met a dashing and charming young aviator, Archie Christie who would- despite concerns and lack of time together- become her husband. 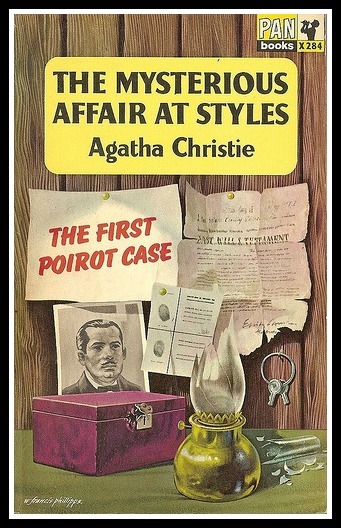 Life with Archie distracted her- setting up a home and having a baby will do that- but one day she got word that her novel, starring a detective who was to follow her around for most of her career- Hercule Poirot- was to be published. Agatha was contractually obligated to write five more books, and Archie seemed to like that she was bringing in some money- so she did. Although he wasn’t what we would consider creatively encouraging, the income supported his golf and living-the-good-life habits. 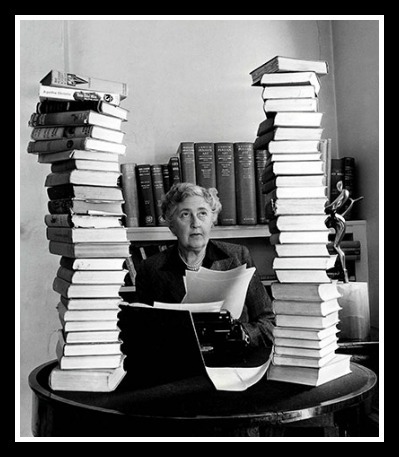 Agatha quickly learned the book business, got an agent and renegotiated a new contract with a better publisher. 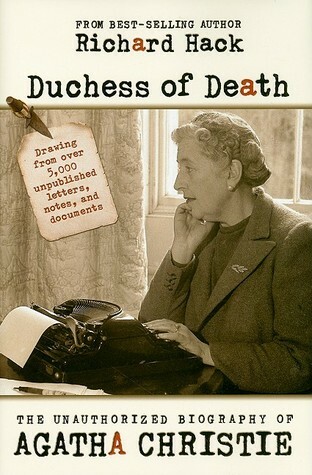 She was gaining success as a writer (although it took quite awhile for her to accept that she really was one). Agatha traveled with Archie for his job and learned to surf! 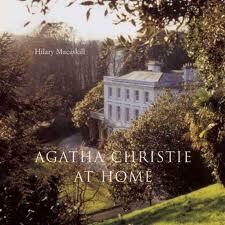 The family moved into a larger home and named it Styles after her first book. The Christie family seemed to have it all- but Archie was getting a bit more than his fair share: he had fallen in love with another woman. 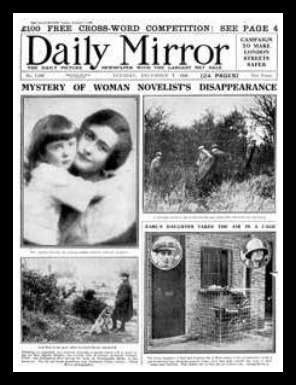 This news, along with Agatha’s mother’s death, sent the couple down a slippery slope and led up to what was possibly the greatest mystery in Agatha’s own life (aside from why Archie was such a jerk)- her eleven day disappearance in 1926. 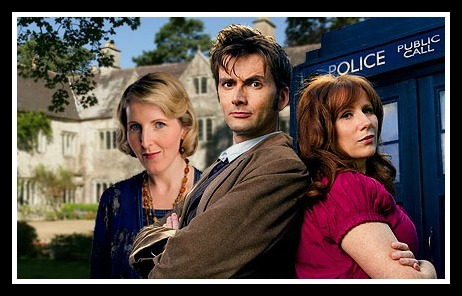 Agatha goes missing one day! Her car is found full of her belongings but she is gone! Her face is splashed all over the press. 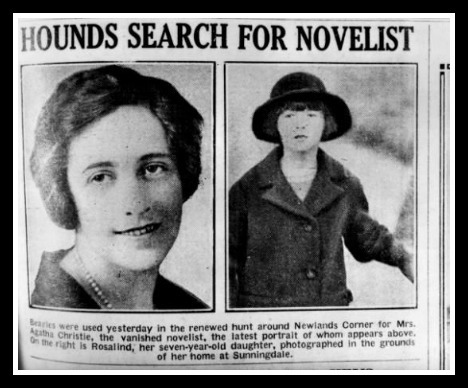 Who best to stage her own disappearance than a mystery writer? Or was it amnesia from a car accident? What of the maaaany clues that were left behind and ignored? Was this all a publicity stunt? 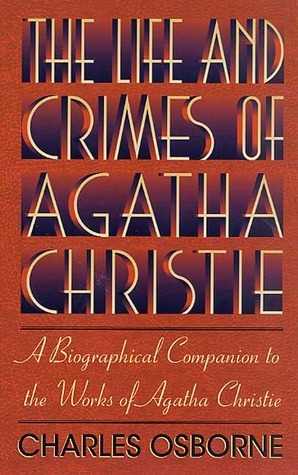 In a plot twist worthy of a Christie novel, Agatha’s divorce changed her life for the better. With Rosalind away at school, Agatha booked passage on The Orient Express and got her groove back. A series of introductions and adventures led her into the life of 14 years younger archaeologist, Max Mallowan. A very delightful romance ensued, and they were married within two years. The Mallowans would spend months on archaeological digs where she wasn’t The Queen of Crime…more like the Queen of Grime. She helped to clean and log artifacts and wrote when she could. 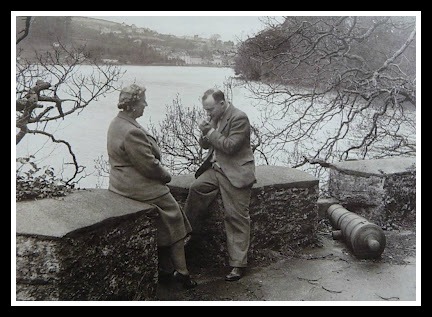 Whatever it was- the love, support, adventure, locations- she began a pace of 2-3 novels a year for the next ten years including psychological romance novels under the pen name Mary Westmacott. World War II slowed her a bit, as Max joined the Air force and Agatha again went to work in a pharmacy. Tax and pay issues began to plague her which were complicated by the war. Her method for solving financial problems was simple: write more books (okay, that may be the oversimplified version, we do go into detail on all of this during the podcast). She was amassing a very large library of her books and eventually Queen Elizabeth took notice and awarded her the order of Dame Commander. 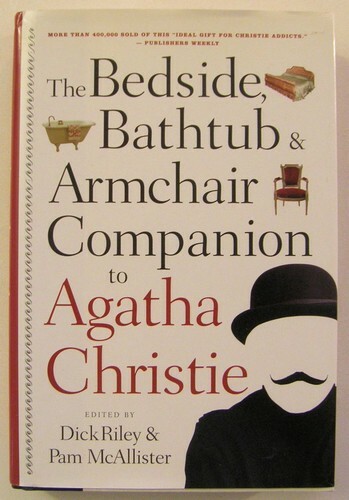 Plays, movies, television shows…Agatha’s work was everywhere and she kept up the pace as long as she could. 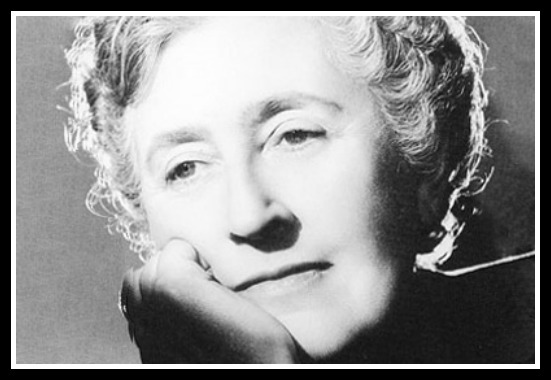 On January 12, 1976 at the age of 85, Dame Agatha Christie Mallowan died of natural causes at her home. 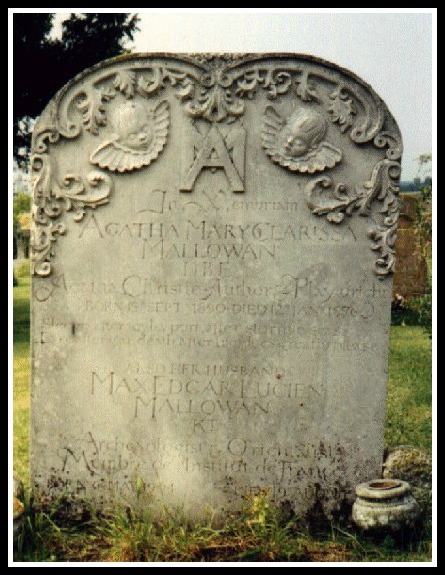 Agatha is buried at St. Mary’s church, Cholsey, UK. TIME TRAVEL WITH THE HISTORY CHICKS If you want to immerse yourself into the Christie subculture, you must go here first: AgathaChristie.com. Maintained in part by her archive trust, you can read more about her life and work, see a bunch of pics and *sings* there is an active message board! 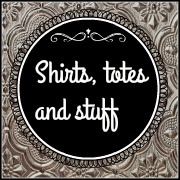 Really a great site for new and established Christie fans. 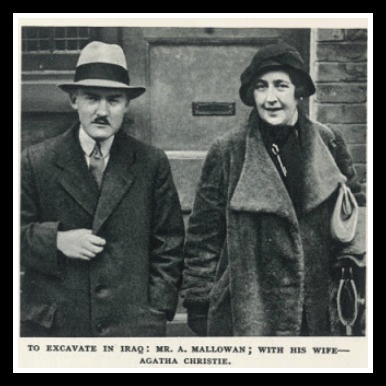 The British Museum has an pretty cool online tour of pieces from Agatha and Max’s archaeological work, spotlighting one of the larger parts of her life when she kept out of the public eye. 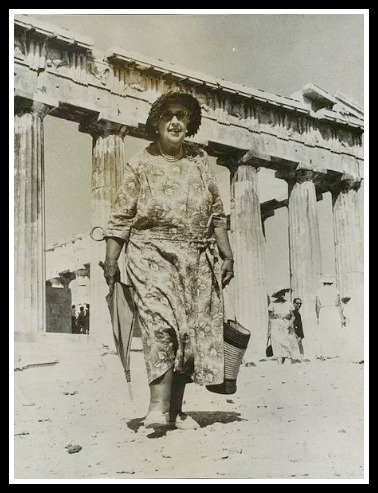 Agatha Christie and Archaeology . Headed to Torquay, the “English Riviera”? 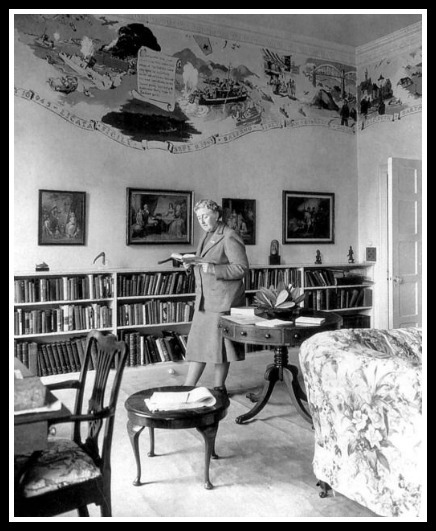 A gallery is devoted to Agatha at the Torquay Museum, including Poirot’s study (donated from a movie set). This very room in Greenway seems to be refurbished exactly as she had it. Go, report back and tell us if it is! 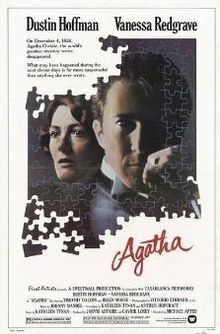 1079 movie explanation of what happened during Agatha’s disappearance. Horrible. Watch old episodes of Murder She Wrote, instead. Beckett geeked out about the Agatha themed geocaches, join in the hunt at Geocaching.com While we can’t go hunting the ones in the UK and New Zealand -if you can dooo iiit!